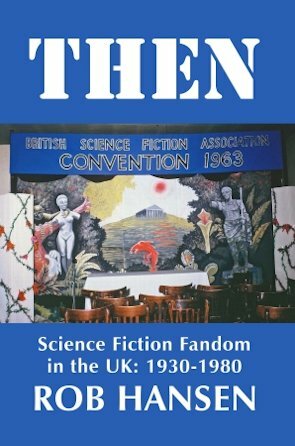 The first book publication of my history of UK fandom is now available for purchase in hardcover and trade paperback. Weighing in at 450 pages it's 20% longer than previous versions and has been substantially overhauled. Treating the original version as a first draft, I spent a year in doing additional research, correcting, deepening and expanding. Now fully indexed and featuring 300+ period photos of contemporary fans, it's available from Ansible Editions at the link below. (Don't worry about prices being quoted in US Dollars if you're not American, btw. Follow the 'Order print edition' link and when you click on lulu.com next to the edition you want it should take you to a page with prices in your local currency.) There's also a link to the ebook edition. Tip: Lulu often has short-lived deals that offer sometimes substantial savings on print books. Be sure to go here to see if you can save any money before clicking on the Ansible Editions link above. The book has been receiving emails of comment. If you're happy to have any comments sent this way appear here please indicate this in your email. Contact details here. Thank you. Rob, we've never met, so far as I am aware, but I just want to say how impressed I am with THEN. (And, I love the title!). Many people might feel that British science-fiction fandom is such an obscure or unimportant group, it doesn't merit a Boswell to record its minutiae. But to me, the cohesion of fandom during the decades before the internet was a truly exceptional phenomenon. Its participants were drawn together not just by loneliness, or by alienation from the conventional world, but by shared dreams of a human future. They didn't always talk about that very much, but I think it was the implicit basis for a feeling of affinity. Fans generally didn't do anything tangible to turn their shared dreams into a reality. There were some exceptions; for instance, I see in your book the name of A. M. Low, who was a slightly wacky scientist, author of at least two predictive nonfiction books (which I own), and a friend of my father, as it happens. But for the most part, the stereotypical fan was just quietly waiting for human transcendence to occur, and in the meantime enjoyed hanging out with others who shared the dream. Fandom was a community largely without rules. It resisted conventional leadership, and sustained itself without a profit motive, at a time when long-distance communications were challenging. Even the expense of postage was nontrivial for many fans, and the speed of communication was glacial by today's standards. 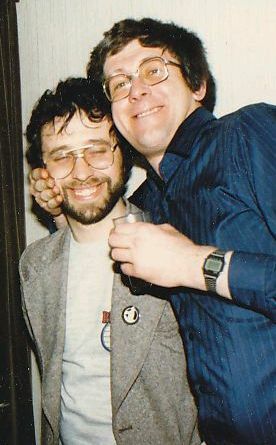 Yet enduring friendships formed, events were organized (by people who were mostly untrained and unpaid), and most important of all, little newsletters and zines were created. This required patience and great dedication, as tools for the purpose were primitive in the extreme, and only someone who has labored to mass-produce text and pictures on a stencil duplicator (or, worse, a hectographic machine) can know the frustrations involved. All of these activities constituted a sincere and selfless endeavor. Fandom was an idealistic model of human interaction, and fans showed that in a simple way their dreams of human transcendence were realistic, because you did indeed have to transcend everyday limitations to sustain the group. This has been a long preamble. But it leads to an important conclusion. No one in UK fandom took much trouble to write its history, beyond some brief documents that were local in scope. Thus the information about this entity would have been lost without Rob Hansen. Moreover, you took great pains to see that the history was compiled thoroughly, without bias, and without personal favors to the people involved. My own thread in this tapestry is fairly described, and I suspect that everyone else can say the same. If any sociologist decides to write about British fandom as a master's thesis, they'll have a very easy task, because you have done most of the work already. It is a singular achievement. I didn't value fandom much when I was in it, because I was young and self-centered. It served my needs, and I moved on. But when I grew older and acquired some objective detachment, I saw more clearly that many people had been very kind to me, despite my youthful angst, my prickly personality, and my huge social gaffes. Fandom sustained me at times when I was literally suicidal, and it did what no therapist could have done. It provided an antidote to my cynicism, calmed me down, and demonstrated that not all people in the world were hostile or felt that I was delusional in some of my dreams. Thus fandom helped greatly on a personal level, and I think it helped other people similarly. I'm happy that a cover of one of my fanzines is reproduced in your book. Even while I was feeling exasperated by some aspects of fandom, and was critiquing it harshly, I was simultaneously and unwittingly feeding the network with the power that sustained it: human interaction, human energy--and if truth were known, some human love.